D. Wilkes Alexander, AIA, has more than two decades of experience in advocating for design professionals involved in professional claims. Known for his diplomatic, resolution-oriented approach to handling matters, he strategically and efficiently solves problems so his clients can focus on their work. A licensed and former practicing architect, Wilkes has firsthand experience in the construction industry, and has applied this extensive subject matter knowledge toward representing design professionals from solo practitioners to some of the largest architecture and engineering firms worldwide. He has counseled and fiercely advocated for architects, landscape architects, engineers, registered professional land surveyors, registered accessibility specialists, and other professionals in the design field, ultimately saving clients millions of dollars through effective liability and damage analysis. Wilkes has settled complex, multi-party and multi-million-dollar cases across the U.S., often making crucial distinctions between construction and design flaws to protect his clients. Clients are particularly fond of his good nature, sense of humor, responsiveness and thorough, analytical technique. A Dallas native, Wilkes received his bachelor’s degree in architecture from the University of Texas at Austin. He moved into the practice of architecture, spending nearly a decade in total in the construction industry before determining he wanted to defend his peers, after witnessing firsthand the often unfair treatment of architects. 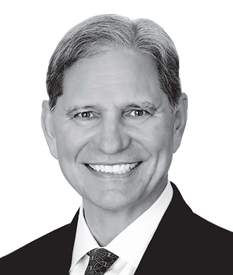 Wilkes went on to earn his Juris Doctor from the University of Houston Law Center prior to moving to Brownsville, Texas, where he spent the first 11 years of his practice in the courtroom primarily with the firm of Roerig, Oliveira & Fisher. He pursued a career with Hollye Fisk upon hearing of his unmatched reputation for representing architects, joined the firm in 2003, and was made a partner in 2011.